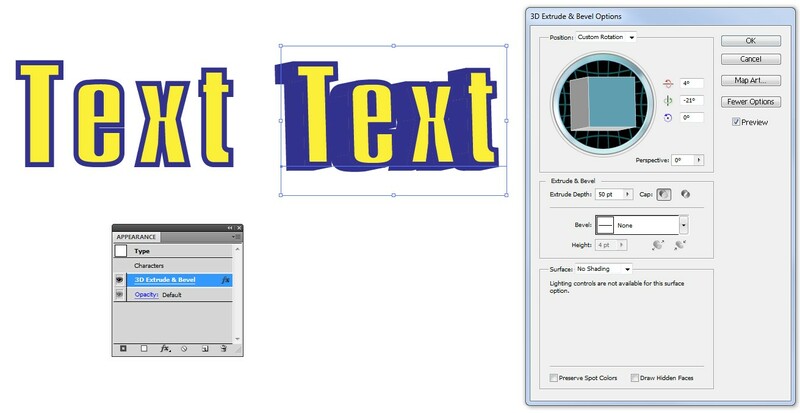 So basically what I want to do is recreate the Stroke Type Depth from Premiere in illustrator. I realise that I could convert text to a path in illustrator and just manually connect the points but that would take too long and still isn't quite as good as premiere's effect. This is what premiere outputs with an edge outer stroke above a depth outer stroke, note that the depth stroke also expands to fit the previous edge stroke. This is close but it takes a decent bit more steps to do and doesn't accommodate (and align the copies) for the stroke. Also not nearly the biggest issue but with the copies, its not scalable. Also round corners seem to sometimes not work as expected and have artifacts such as random corners not being rounded. But that was probably just a one time thing. When I first found the depth stroke in premiere I really liked it and I wanted to make something with it in illustrator and was really surprised and confused to not find it. I would expect that if anything illustrator would have more options for transforming paths and text that premiere would have but that doesn't seem to be the case. So am I missing something or is this not possible in illustrator, at least to the same degree of ease and quality? Thanks for taking the time reading this and responding, I'm sure it will help other people too! Illustrator's equivalent = Effects > 3D > Extrude & Bevel. 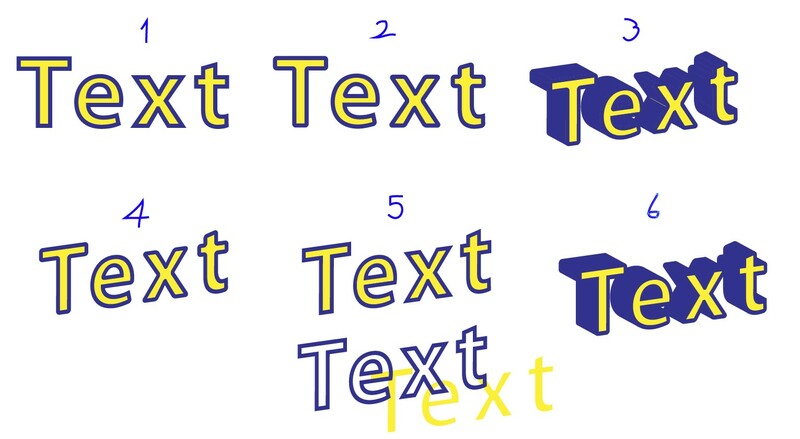 In your case a text (no need to outline it) with dark stroke and yellow fill is extruded. There's no shading. Depth, direction and bevelling the edges are easily changed. Even the extruded shape itself can be edited after the effect is applied. NOTE: Here the rotation angles are not small => The text gets distorted due the projection. To keep the distortion low use narrow rotation angles, say 1 degrees. Compensate the lack of depth with HUGE extrusion, for ex. 1000 or 1500 pt. Unfortunately the result is quite random. some corners are still sharp and the yellow part clearly suffers. A little better result is available at least with brute force. That is: Make the extruded part fully dark and insert sharp yellow shapes over it. Scale, skew and rotate them to fit with the viewing angle. This is not perfect. Some corners of the dark part are still sharp. That's not bad, but having no control over "which corners stay sharp" isn't welcome. Maybe someone shows a better way. Not the answer you're looking for? Browse other questions tagged adobe-illustrator text adobe-premiere or ask your own question. How to scale arc corners to be equal? How can I make my stroke stay inside the corner in Illustrator? How to create inline stroke?